Watch Geronimo Stilton on Netflix now! Home › Latest news › Watch Geronimo Stilton on Netflix now! Follow New Mouse City's favourite journalist: Geronimo Stilton along with his adventurous sidekicks Benjamin, Thea and Trap as they investigate mysteries that take them around the world. 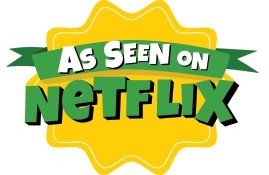 Watch the fabumouse adventures of Geronimo Stilton on Netflix now! Geronimo Stilton's Library Grand Opening!